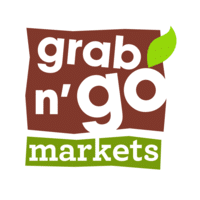 MICRO MARKETS SUPPLY COMPANIES, MICRO MARKET SELF-SERVICE, MICRO MARTS, REFRESHMENT STATIONS. These Micro Markets Equipment & Supply companies will help you get started. Are they Healthy Micro Markets? Please contact these Micromarket Companies direct for more information about their micro markets for offices breakrooms and equipment & products packages they may offer. At 32M, we look to fill a gap in the market of micro markets: providing the best prices, delivering superb customer service, and giving you exactly what you want! Breakroom Provisions Micro Markets are transforming on-site refreshment services, simply because there is nothing that compares to the convenience, product variety and overall experience. As pioneers of the Micro Market industry, we have the knowledge and experience necessary to provide a full range of comprehensive foodservice solutions. We are confident that you and your employees will be overly satisfied with your new break room experience! Company Kitchen is a revolutionary self-serve micro market that is installed for free in break rooms and workplaces across the United States providing a wide variety of food and drink, especially more fresh and healthy options such as salads, sandwiches, yogurt, fruit cups, veggie snacks, energy drinks, 10-calorie sodas, Vitamin Water, teas, etc. employees can access 24/7! deORO markets was started with one thing in mind, to have a cost effective micro market that delivers all the needs of any operator. From a simple market with hosted support or a large solution with custom integration, we strive to deliver the best product to all of our customers. Human Healthy Micro Markets – Imagine a healthy Whole-Foods-like market integrated seamlessly into your office space…You’d have convenient access to delicious and healthful snacks, beverages & full meals without having to leave the office—& all you’d need is your fingerprint to make a purchase. 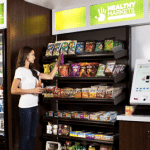 Micro markets, are free-standing, self-serve, unstaffed & cashless convenience stores customized to fit any office space. They’re the latest advancement in the automated retail, vending & foodservice industries & the largest opportunity for locations that want to offer a health & company-culture-boosting perk. Contact us today to have your own Healthy Micro Market Company today- 310-845-7745.